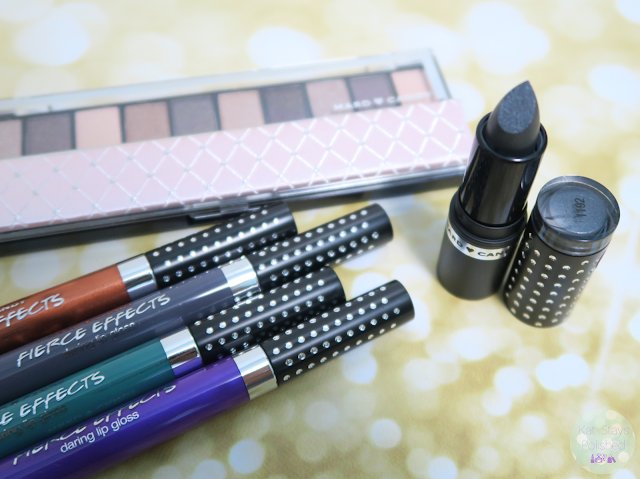 Need some last minute beauty steals for gifts? Hard Candy has some fierce products you can pair together for the perfect look. Let's see what I've got! So, a little while back I had two Fierce Lipsticks that were way too fierce for me, lol. This time around, I've got a metallic gunmetal gray shade...still a bit fierce but a little tamer than the wild purple from before. 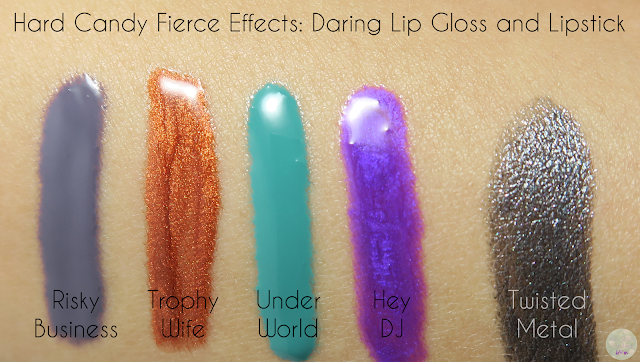 I also have some pretty bold glosses. There are several eyeshadow palettes that contain 10 shades that complement each other. This one here is the Top Ten Satin Eyeshadow Collection in the shade Lap of Luxury. This is available at Walmart for only $6! The color payoff with these is pretty phenomenal for a $6 palette. The metallic shades really catch my eye! This may become my go-to neutral palette for a while! 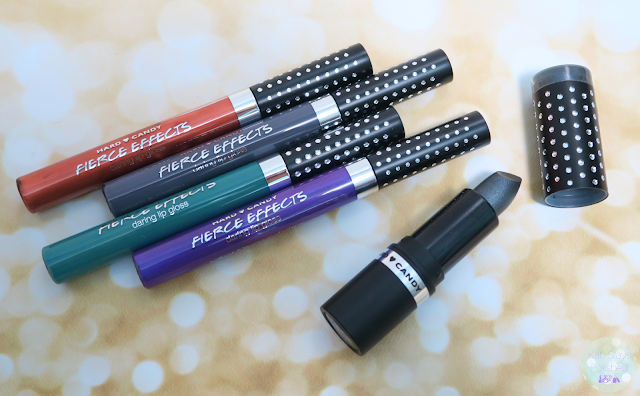 The Fierce Effects Daring Lip Glosses shown below are only available at Walmart stores so head on over now to check them out in person! The purple shade Hey DJ may be my favorite one with Trophy Wife coming in at a close 2nd. If you've not already checked the Hard Candy displays at your local Walmart stores, you're seriously missing out. There are so many products for every taste and preference and everything is super affordable. Head on over there now for some last minute stocking stuffers and gifts for throughout the year! That eyeshadow palette is really nice. Some great neutral colors. I love that purple gloss! I've had some really fierce shades from HC but I think it's all fun for those who can wear those shades. The e/s palette looks really nice. 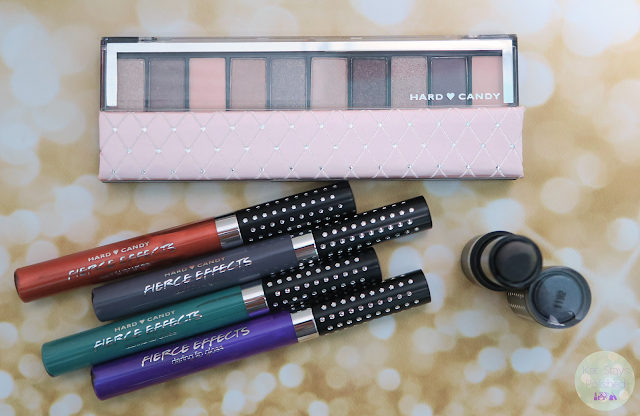 Love the colors in that eye palette--I love that I can get Hard Candy at Walmart too! That eye palette swatches nicely and the lippies look pretty and fun. My local HellMart Hard Candy displays are always a horrid horror so I never buy anything from this line.